moroccan food has a special meaning to me after studying abroad in rabat while in high school. i fell in love with the flavors of morocco - sweet spices, plump dried fruit, cous cous, fresh fish, legumes and citrus, all in abundance! but nothing compares to the fresh orange juice bought from street vendors in morocco - so refreshing in the warm climate! never mind the fact that it was handed to you in a reused glass that is haphazardly washed in a bucket of water... when traveling in morocco, don't drink the tap water but do drink the orange juice! anyhow, back on topic - here is a simple couscous salad inspired by the flavors of morocco! in a small sauce pan, bring 1 cup of broth or water to boil. remove from heat and add oil, salt and saffron (i used a saffron infused salt, which was perfect). stir in couscous grains and let sit covered for 10 minutes off of the heat. then remove top and fluff the couscous with a fork. 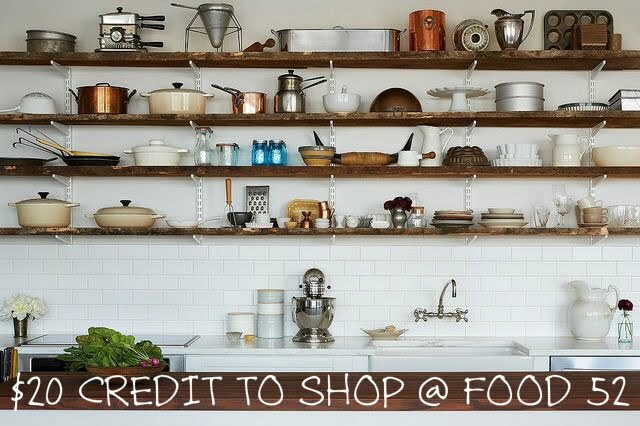 let cool while you prepare the herbs and vegetables. cut clean radishes in half and then thinly slice into half-moons. 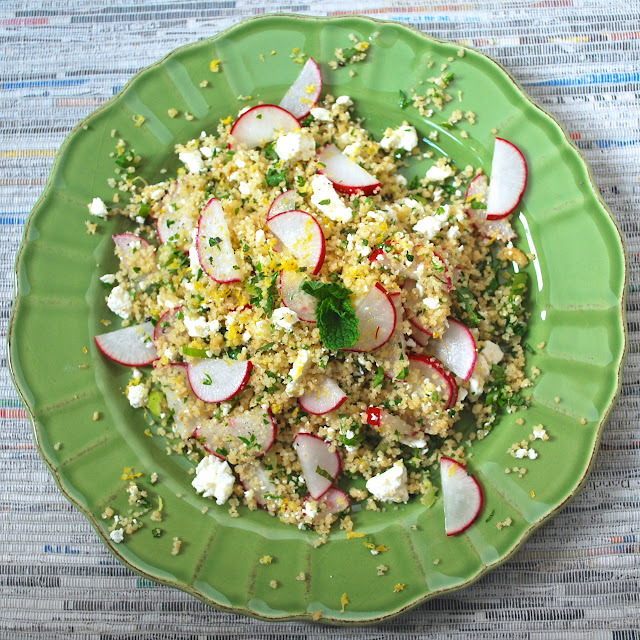 in a large salad bowl, combine radishes with minced herbs, couscous, crumbled feta cheese and the zest of 1 lemon. add salt and pepper to taste. drizzle with olive oil and serve room temperature or as a chilled salad.